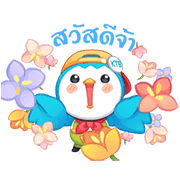 http://www.line-stickers.com/ – Nong Vayu + Friend + Animated + KTB 50th Anniversary + KTB PROMPT P(L)AY Line Sticker | Krungthai Bank’s stickers are here! 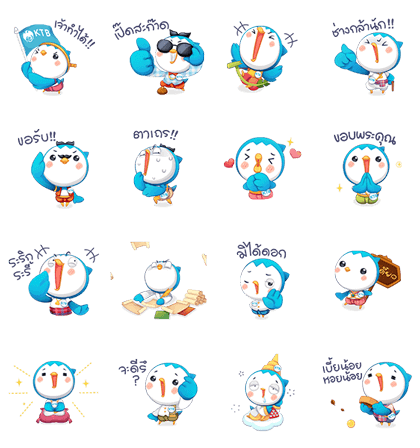 Have fun chatting with our playful characters, Nong Vayu. Have fun with you in lovely Thai style. 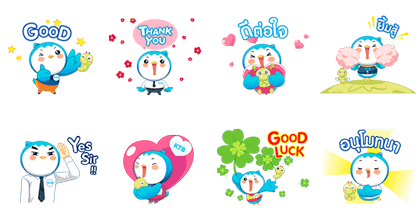 Friend KTB Careʹs official account to get these cool Thailish stickers for free! Nong Vayu is back, and he’s brought along a friend this time! 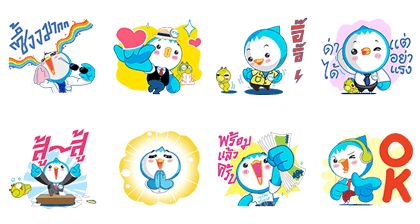 Use these stickers to laugh and cry with your friends and even to cheer them up! Friend Krungthai’s official account to get these stickers. Nong Vayu invites you to celebrate KTB’s 50th Anniversary. Are you ready to play with Nong Vayu? Friend ktbcare’s official account to get these stickers for free. 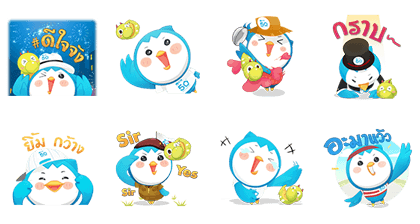 Think, do, and be positive with these Nong Vayu and Mee-Tang stickers from KTB. Friend KTB’s official account to get this set for free. Available till April 19, 2017.